B&W Tek, an advanced instrumentation company that delivers lab quality Raman spectroscopy solutions through user-friendly mobile platforms, is pleased to announce its newest distribution agreement with VWR International, LLC, a global solutions provider of laboratory suppliers, equipment and services. 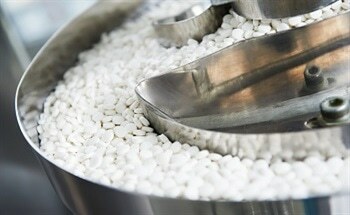 VWR offers a well-established network that reaches thousands of specialized labs across North America. B&W Tek and VWR have joined together to promote and sell B&W Tek’s Raman Products in the U.S. and Puerto Rico. 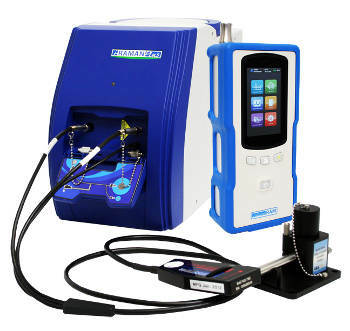 The i-Raman Plus portable Raman spectrometer and the NanoRam handheld Raman spectrometer offer non-invasive, non-destructive sample analysis that can be performed through transparent containers, all while maintaining sample integrity and volume. The i-Raman Plus portable Raman spectrometer is unique for its wide spectral range and high resolution. It’s lightweight design and portability provides research grade Raman capabilities in any environment. When paired with B&W Tek’s quantitative software, it provides intelligent algorithms, efficient matrix calculation power and an intuitive user interface to make it user-friendly for both expert and novice users. 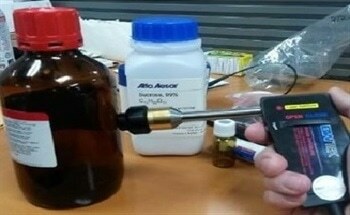 The NanoRam handheld Raman spectrometer is a state-of-the-art handheld Raman instrument for nondestructive identification and verification of materials such as APIs, excipients, intermediates, & finished products. Compact and agile, the NanoRam can be used by non-technical users to rapidly identify samples in the lab, warehouse, loading dock or field, helping to eliminate the need for quarantine areas and to expedite materials into the manufacturing lifecycle.